Medak was part of the Nizam princely state during the pre-Independence era. A municipal town in the state of Telangana, Medak is the hub of cultural festivities, most notably the Bathukamma in the springtime. There are a myriad of tourist places to explore at Medak and here is a list of top 5 places that you cannot afford to miss. 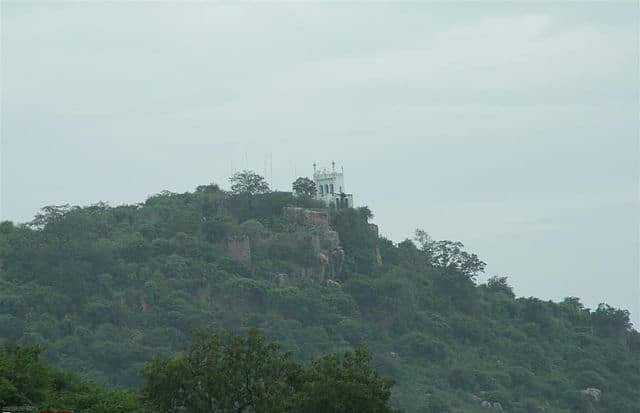 The Kakatiya emperor, Pratapa Rudra, built the Medak Fort in the 12th century during his reign. Methukudurgam, as it was previously known, has three main entrances that are adorned with different sculptures and one can witness both the Hindu and Islamic styles of architecture blending here. Given its strategic location on a hillock, it is no surprise that it also houses a long canon of 3.2 metres known to be built by the Qutub Shahi rulers who had also constructed a mosque here. 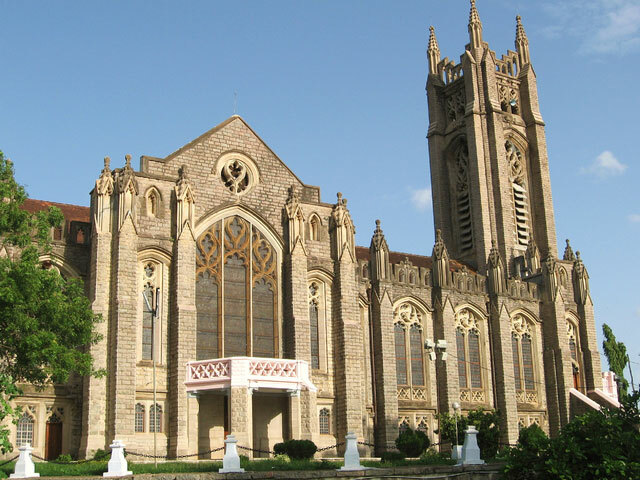 Medak Cathedral is considered as the seat of the Bishop for the Church of South India (formerly Anglican), who sees over the Diocese of Medak, which is the single largest diocese in Asia. It goes without saying that the church looks spectacular with its Gothic styled architecture and has a bell tower which is 175 ft. high. It has stained glasses which narrate the events in Christ’s life- the Nativity, the Crucifixion and the Ascension. Pocharam Wildlife Sanctuary is located near the Pocharam Lake spreading across 130 sq. km. It is home to a huge variety of flora and fauna. 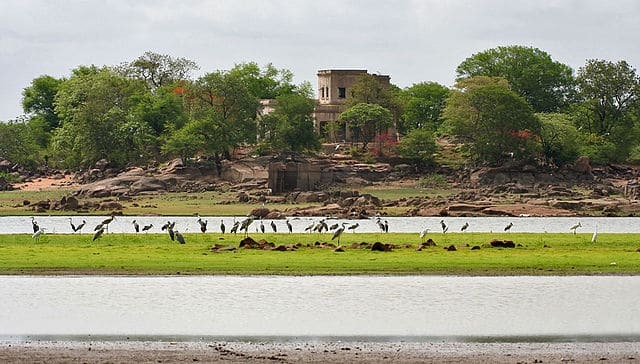 If you wish to polish your bird spotting skills, the Pocharam Reservoir should be your go-to place as it attracts birds like the painted stork, bar-headed goose, brahminy duck and many more. And animals like the sambar, Nilgai, leopard, forest cat, sloth bear, wild dog, wolf, jackal are found here. Visit this place between November and January so that you can see this area in its full glory. If going into the wilds excites you then you could also make a trip to the Narsapur Forest and the Manjira Wildlife Sanctuary which covers an area of 30 km and 20 km respectively. Our history textbooks would tell us that Neolithic Era or the New Stone Age is the period when there were traces of the earliest development of human technology while also holding on to the last phase of the Old Stone Age. Well, you have to see it to believe it. Edithanur Cave is situated in the village called Edithanur with traces of rock paintings depicting the culture of the Era. So if you have a knack for digging into history, this is the place to be. What better way to rediscover the history of a place than visiting an archaeological museum. It is a popular destination in Kondapur town of Medak with a huge collection of antiquities from the mid-20th century gathered from excavation sites at Kondapur village, mostly belonging to the Satavahana dynasty. Since 1952, this museum has been under the supervision of the Archaeological Survey of India (ASI). As you can see, Medak is steeped in its historical and cultural significance and is a delight for all travel enthusiasts.